Kettles that release red hot steam onto their handles, cupboard drawers that don’t quite slot in and of course, those pesky USB sticks that take three or four attempts to insert before realising you had right the first time. These niggles are part of everyday life and albeit annoying, their poor design is usually pretty easy to ignore. But in industry, the bad design of manufacturing environments and equipment is much more significant than a few seconds wasted twisting a USB stick. As part of the modernisation of manufacturing facilities, industrial automation has become invaluable. The undeniable benefits of increased productivity, improved efficiency and reduction in costs have meant that automation has quickly secured its place as a reigning champion of manufacturing operations. 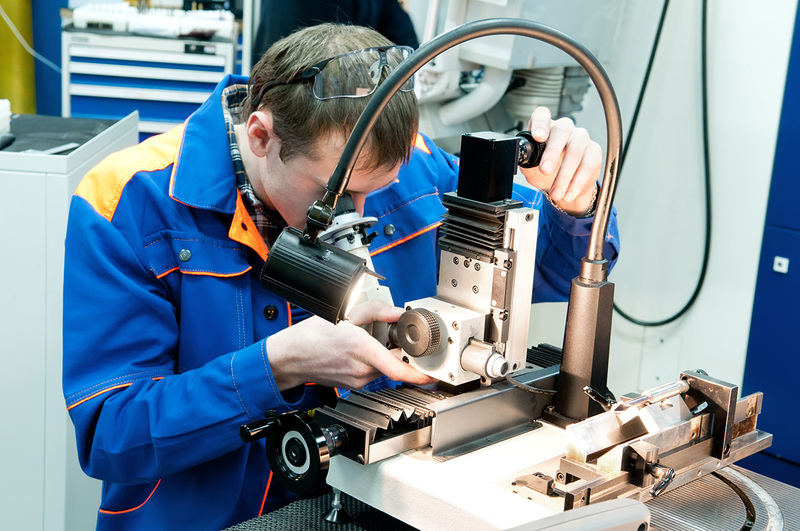 Although such advanced machinery has crept onto the factory floor, human workers still play a vital role in operations. For this man and machine collaboration to succeed, it’s important to design and create an appropriate and effective level of interaction between workers and machinery. This is where industrial ergonomics comes in. Ergonomics describes the interaction between humans and other elements of a system, in this case, factory employees and their respective industrial machinery. Good ergonomics applies design principles to co-ordinate the devices, systems and working conditions in a factory with the requirements of the workers. By increasing human well-being and easing navigation, good ergonomic design can improve the overall performance of a system and its workers. Already, manufacturers are opting for automated equipment to speed up and improve their productivity, but implemented into an ergonomically designed environment, this increased productivity can be taken a step further. For example, adjusting the body and height of workspaces for employees can not only reduce risk of injury, but also improve staff motivation by giving them more freedom to move. What’s more, creating easier reach zones for employees can dramatically speed up production. Even simple changes, such as improving the lighting and temperature for employees are easy ways to minimise potential accidents. That being said, ergonomic design must be uniquely created for each manufacturing environment. Inevitably, when organisations add industrial automation to the equation, health and safety becomes an even greater concern. Organisations will strategically place dangerous automated machinery outside of the workspaces of employees, but by implementing intelligent equipment, like human machine interfaces (HMIs) workers can gain a greater view the processes performed by machinery, without having to get up close and personal. This set-up will not only allow for improved productivity from human employees, but will also cut the risks of potential accidents. Despite the increasing number of robotics and industrial machinery on production lines, it remains clear that people are a vital resource for manufacturers. For modern industrial environments that use automated machinery, it’s essential that the ergonomic needs of human workers aren’t forgotten. Let’s face it, without seamless collaboration between these workers and their respective machines, production will be about as seamless as fitting a USB stick into a port on the first go. Robert Holloway is head of order fulfilment at European Automation.